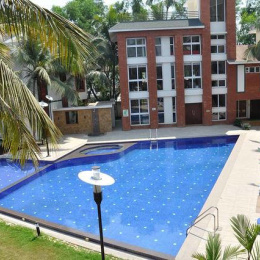 Beautiful 1 BHK suite in the most happening place in Arpora with fully furnished and world class swimming pool and indoor games. 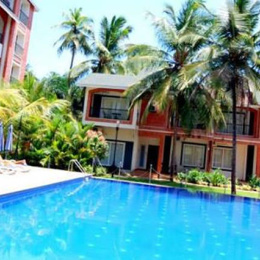 DREAM GOA HOLIDAY HOMES' has come up with Short Stay Apartmentsat North Goa Anjuna, Arpora, Calangute ,Nagoa,Candolim Goa serviced by with its team of trained professionals to give you a real complete feel of Goa, A HOME away from HOME where you can enjoy our fully furnished, air conditioned apartments with a well equipped kitchen where you can cook to your liking. Senior citizens or ladies will find our apartments comfortable and safely located for their care free travel. So Why stay, In a crapped hotel room when you can enjoy an affordable stay in a luxurious apartment. We request you, to contact us and give us an opportunity to spoil you with a true taste of Goan Hospitality. Balance Amount payble at the time of “Check In” without fail. It’s mandatory to pay at the time of CHECK IN. Shall not store any corrosives, explosives or harardous goods in the said premises .